Beautiful simplicity. 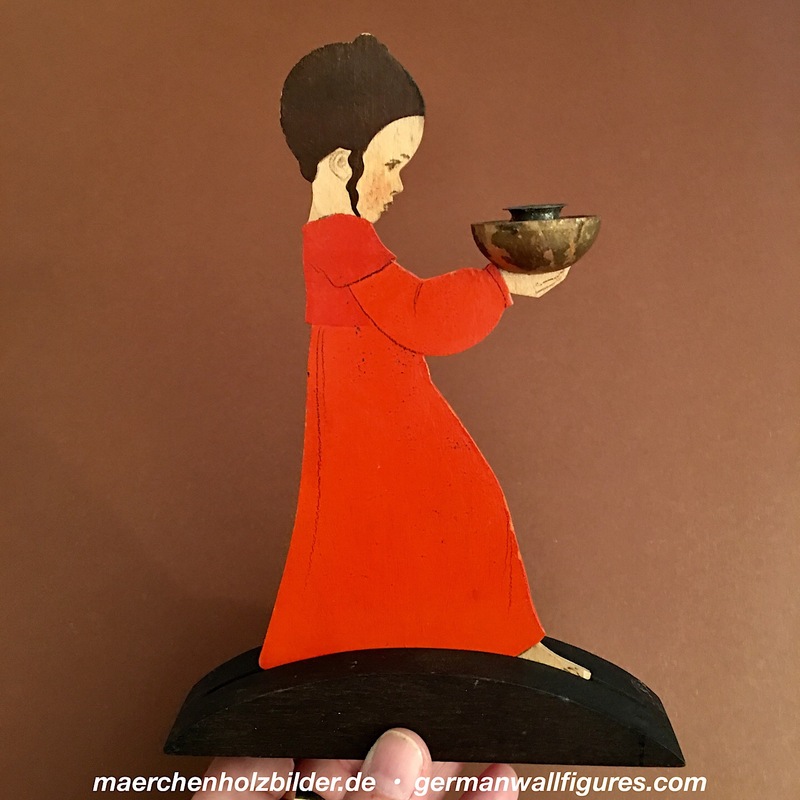 The extremely reduced color scheme, the young child’s belly – this all adds to the fact that Hellerkunst had shown this candle holder in one of their very first cataloges. It is hand-painted on wood and very rare.